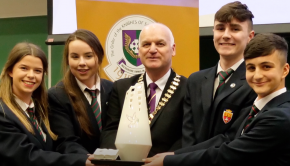 On the 25th May, 2017, Castlerea Community School was delighted to receive the Amber Flag for the first time. 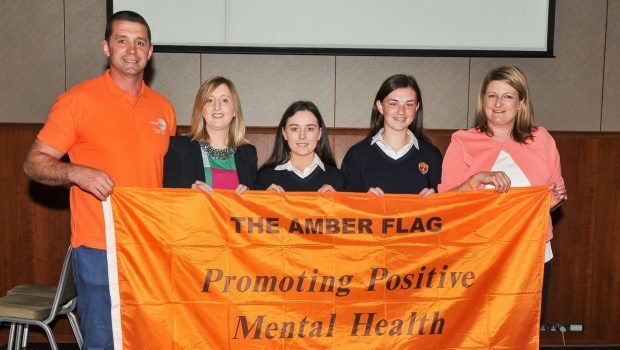 The Amber Flag initiative aims to encourage schools to promote and actively bring about a culture change in the promotion of positive mental health within the educational system. 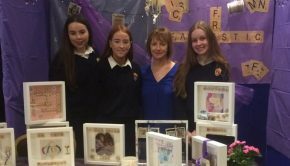 Amber Flag Ambassador and former Munster Rugby player, Alan Quinlan, spoke about the importance of looking after your mental health and commended all schools present for being involved in such a worthy campaign. 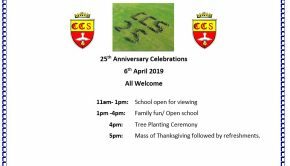 Tom McEvoy from Pieta House, said he believed the Amber Flag was a very positive flag for every school and it showed that it was a place where people were ready to listen and help. 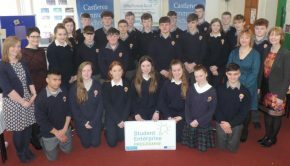 The flag was awarded for the many ways positive mental health is promoted in Castlerea Community School, such as Positive Mental Health modules, guest speakers, awareness days, workshops and the introduction of Darkness Into Light by Transition Year students in 2015.